From the Ty Fashion collection. 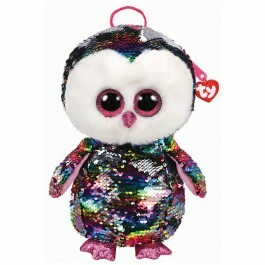 Flippy Color Changing Sequin Glam Plush stuffed animal collectible toy backpack with ajustable straps. A cute fun way to carry around your goodies!